Winning a playoff soccer game via penalty-kick shootout can one of of the most thrilling ways to earn a victory. It can also be one one of the most devastating ways your season can come to an end. On Saturday night, Centennial found that out the hard way in their contest with Lake Oswego. 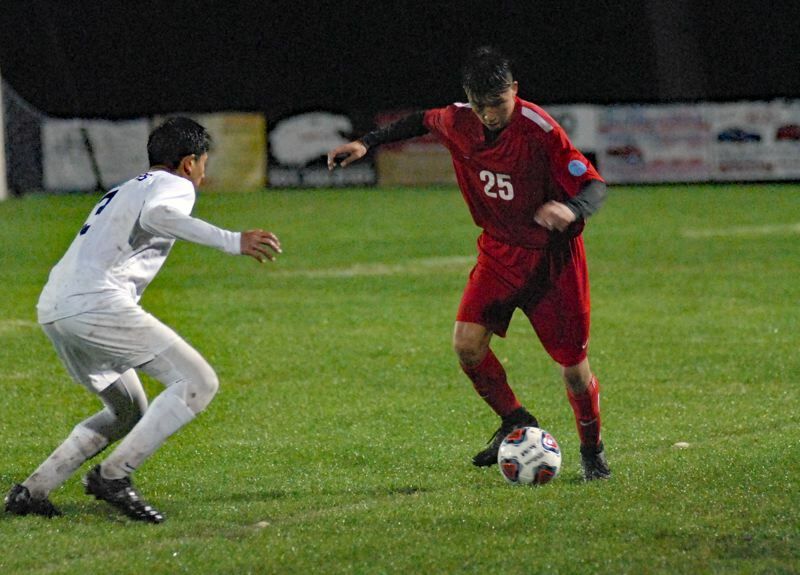 Sidharth Daga knocked in the winning penalty shot for the Lakers with a bullet into the right-corner of the goal, giving Lake Oswego the 3-2 win over Centennial in the first round of the 6A playoffs. "It was a really big relief," Daga said after scoring the goal. "This game was a battle, but we got the job done." On the other side, Centennial head coach Todd Saks was reasonably distraught after the game. Lake Oswego scored in the opening minute of the game when Daga played a great ball to Jarvis Way, who dribbled past a pair of Centennial defenders and knocked in a shot to give the Lakers the 1-0 lead. Centennial, however, responded moments later. After getting past the Lake Oswego back line, Nathan Feltner got fouled in the box and was awarded a penalty kick. The junior midfielder put the shot away easily to tie the game at 1-1. Before the end of the half, the Eagles were able to put another one on the board. Andrew Martinez got a ball from the outside and banged one into the back of the net to give Centennial the 2-1 lead at the break. But midway through the second half, Eric Seaman headed in a free kick for Lake Oswego to tie the score at 2-2. "We just adjusted at halftime and threw some different systems at them," Lake Oswego head coach Fraser Morrison said. "One of our team mantras has been to leave everything on the field and that's what the boys did."